ExSSA Los Angeles subscribes to the general Mission Statement of ExSSA-USA and operates with the motto “Making a Difference One Girl At A Time”. 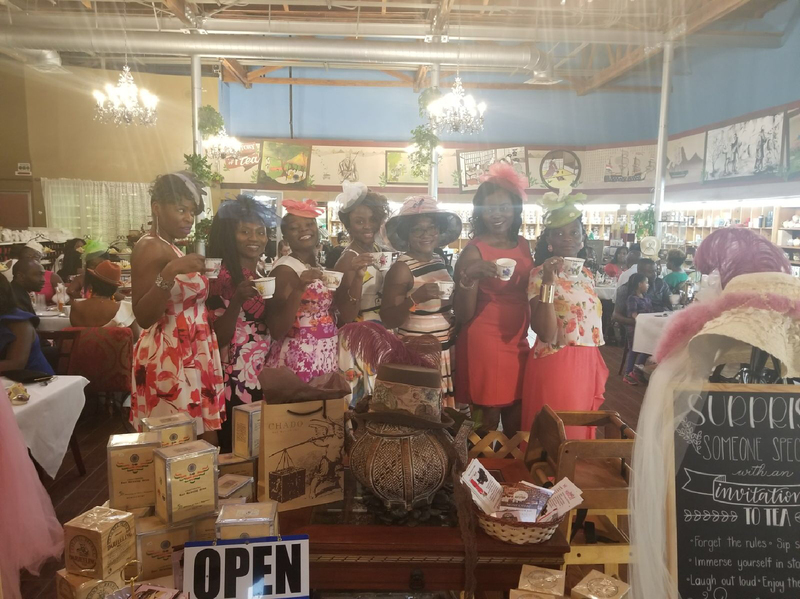 ExSSA-LA annually organizes an “Elegant Afternoon Tea Party” to raise funds for a variety of fundraising activities such as sanitation kits for its Alma Mater. We come up with fresh and creative ideas to accomplish our goals. • ExSSA-LA raised funds for 500 first period and sanitation kits for Form One to Three students in Saker Baptist College. • ExSSA-LA raised the most funds for the “Refectory Project” than any Chapter in the Organization. • ExSSA-LA supported the National Organization in raising funds for the “Water Project”. • In 2012, ExSSA-LA successfully hosted the Organization’s National Convention. • The daughter of our PR donating hair for “Wigs for kids locks of love”. • Raising awareness about “Acute Myeloid Leukemia” by hosting a blood drive for the daughter of our alumnus. • Volunteering at the St Francis Soup Kitchen to help distribute groceries to those less fortunate. • Participating in the ExSSA Annual Impact Day by volunteering at the annual Foot Washing for the homeless community in downtown LA. • Successfully organizing two tea parties to raise funds for our Alma Mater in Saker Baptist College. • Meetings are held every first Sunday of the month and are done via conference calls or face to face. • Meetings are mostly fun activities such as champagne brunches and empowerment workshops. ExSSA-LA participates in all national projects such as the “Refectory” and “Water Projects”. We stay engaged and serve in committees as needed (e.g. our current Vice President is a member of the National PR Team; we had a member in the election committee and one in the conflict resolution committee). We contribute ideas to better the organization. We promote the ExSSA sisterhood by living it within our chapter and sharing it with other ExSSAs. We participate in all NEC meetings as stipulated by ExSSA-USA’s bylaws.